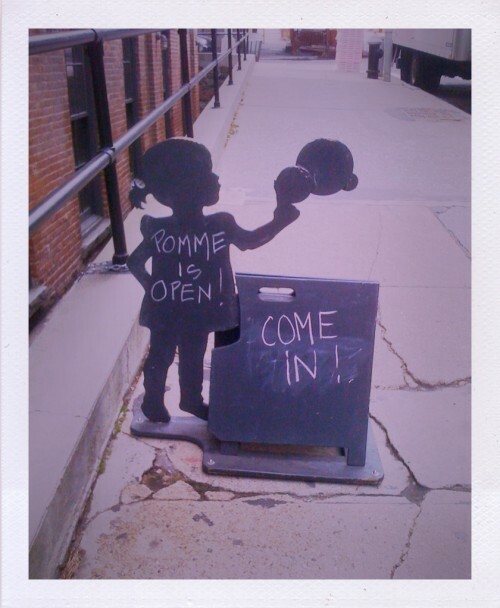 After posting the Mermaid Oyster Bar chalkboard yesterday, I passed by Pomme Children’s shop in DUMBO and realized that I hadn’t talked about this cute chalkboard sign that I love — isn’t it lovely? 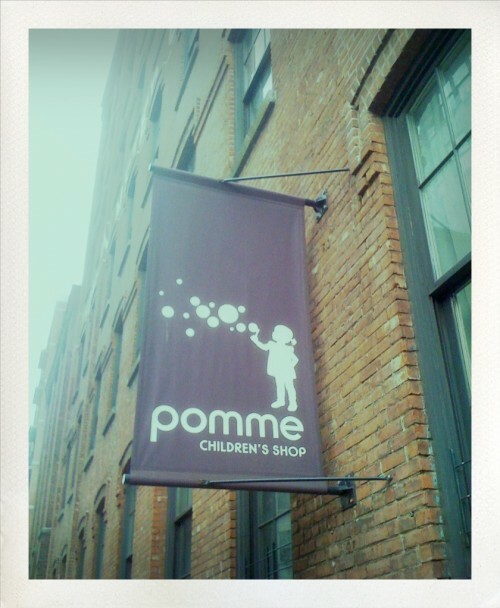 The little girl with the bubbles is their logo, using the silhouette as a chalkboard + little kid’s size chalkboard next to her = great store signage! and here is the logo and store signage up on the building wall. Inside, you’ll find great stuff for kids, but you and I could also enjoy very much :) Take a look at their online shop… see?